The whale watch was terrible. It was windy, cold and the seas were super rough. We only saw a few whales and most were from a distance. I will include one small pic at the end. The best shot I got, which is pathetic. The boat was so rocky, most of the ship was throwing up into brown paper bags (they supply), including my boyfriend. He said guys don't take Bonine (apparently it is more cool to throw up in public). I have my ipad here but I can't do any picture stuff with that so I also brought my old netbook which is so slow. Picture editing is going to be a project and I don't want to spend a ton of time on that. I have two nail challenges coming up and I really want to get some designs done before I leave here. Thankfully, I downloaded some stuff I had already done before I came. A friend of mine sells Avon. I used to buy their polish but then branched out to a variety of different brands. Recently I purchased some from their newest collection. Most of you know, I love experimenting with different brands but I am driven mainly by color. All of my polish is sorted by color. And that makes it easier to see what colors I am drawn to......green. Weird. I never new I cared for it. But most tend to lean towards teal, turquoise, etc. Today, I have for you....purple. Avon Luxe Lavender that is, with white daisies and a little bling!!! Have not used Avon in years but I love how it applied. Smooth, even and great coverage in two coats. Also.....inexpensive.﻿ it will be great for various nail designs. Yes, it is a whale. In the center. If you squint, you can see it. Pretty! Love the color and the flowers. Very cute. It's a bummer about the whales. Such a pretty color! It looks like a shark or a dolphin, not a whale. sooo pretty! i love the little rhinestones! 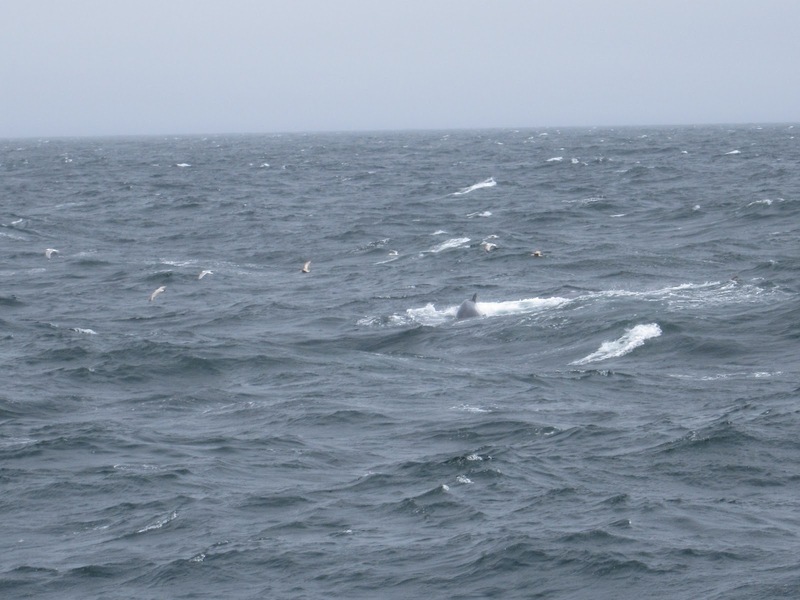 My recent winter whale watching experience was exactly the same. The ocean was very rough and was much like a roller coaster ride. 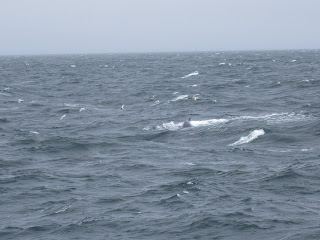 We saw few gray whales but hardly could make out their shapes in that water. I came back with zero pics which is very disappointing for me. My husband and me were the only ones on the boat who dint throw up but we were very sick and I had terrible headache. On to nail polish, this color is very pretty. I have never tried Avon before, but this polish looks quite smooth. I don't think I've used anything Avon since I was like 9 and my mom used Skin So Soft as bug repellent haha. That is a really nice springy color though and those little rhinestones are so perfect! Sorry whale watching wasn't awesome, I've never been so I have no puke stories to share lol. Beautiful color and the flowers are very cute! I love this! I have star gems waiting for me to use them and every time I think of it I forget to add them to my designs. Orly Flash Glam FX Collection-and Giveaway??? ?